Up-and-coming trainer and all round nice guy Fergal O’Brien is currently into the fifth season of his training career and is enjoying his best season thus far with 44 winners from 221 runners and operating at a strike rate of 20%. With his yard situated in the heart of the Cotswolds at Grange Hill Farm with spectacular surroundings, Fergal currently shares the same gallops as veteran trainer Nigel Twiston-Davies whom Fergal was assistant trainer to for 16 years until Chris Coley decided to support Fergal financially to start his own operation. Fergal’s passion to succeed is clear and it’s not surprising the success that he has achieved as he's supported by a talented team which is led by assistant trainer and Fergal’s partner Sally Randell who trained horses herself before joining forces with Fergal in Naunton. Kevin Brown is the head lad and top jockey Paddy Brennan rides the majority of Fergal’s horses along with conditional jockey Conor Shoemark who has also enjoyed plenty of success. Brodie Hampson is now riding as a conditional having ridden as an amateur for a number of years. 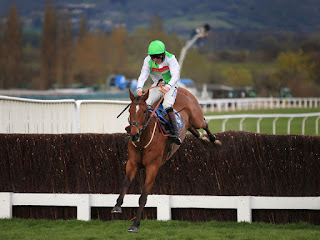 Ally Stirling is the amateur rider among his team and Ally recently rode Troika Steppes to a popular success at Cheltenham. 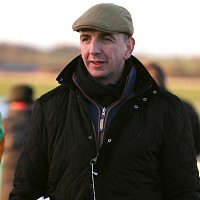 Alain Cawley is currently on the side-lines but is planning to make a comeback at the end of February all being well and will be hoping to hit the ground running when he returns having dislocated both of his shoulders as well as fracturing one at Kempton in October of last year. 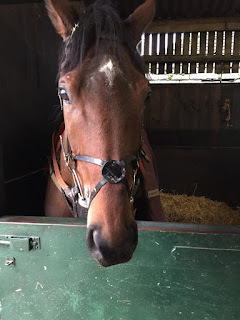 Doctor and racehorse owner Simon Gillson operates the Fergal O’Brien Racing social media pages and does a splendid job of keeping them active and updating followers with the latest news and pictures. 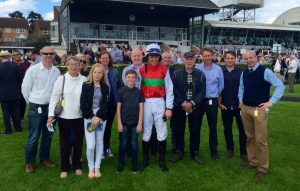 Fergal’s success has caught the eye of some top owners. Paul and Clare Rooney, who are currently his leading owners this season, have chosen to support Fergal and they have got off to a flying start. Mr and Mrs William Rucker who own the honourable Alvarado have also purchased a couple of new horses and it seems only a matter of time until J P McManus sends one to Fergal! Onto the horses, potential star Colins Sister is set to run in the OLBG.com Mares Hurdle at Ascot on Saturday having worked well on the gallops this morning. Already a three time winner this season, she looks set to go close and enhance her claims for the Cheltenham Festival. The current plan is to run at the Festival after Saturday and will have an entry in the Albert Bartlett and the Mares Novice Hurdle. Held in high regard, she has the potential to be Fergal’s future stable star. 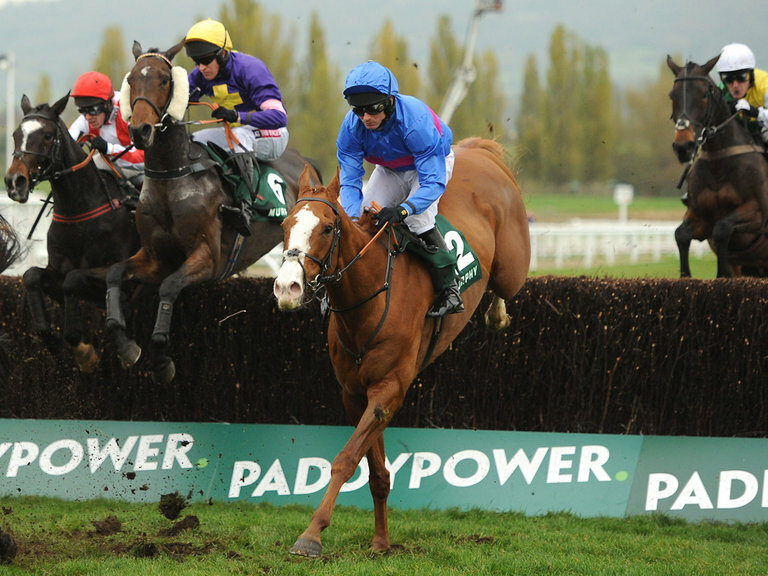 Staying stalwart Alvarado is set to school at Chepstow on Friday. He unfortunately fell at the second in the Becher Chase at Aintree but had previously run a promising race on his seasonal debut at Cheltenham. All roads lead to the Grand National for him again this season, a race that he has twice finished fourth in and was in good spirits this morning. Perfect candidate is going to take on the mighty Thistlecrack in the Cotswold Chase at Cheltenham next weekend. He was an agonising second at the course in December behind Theatre Guide and although Thistlecrack will obviously be hard to beat, connections will be hoping to pick up some prize money in a race that is unlikely to have many runners. He holds an entry in the Cheltenham Gold Cup as well in which he will be a likely runner. One that caught the eye on the gallops was Wizard’s Sliabh who was successful on her seasonal debut at Market Rasen before finishing second to Alan King’s Tara View at Ludlow. She doesn’t hold any entries at the moment but looks one to watch out for next time. 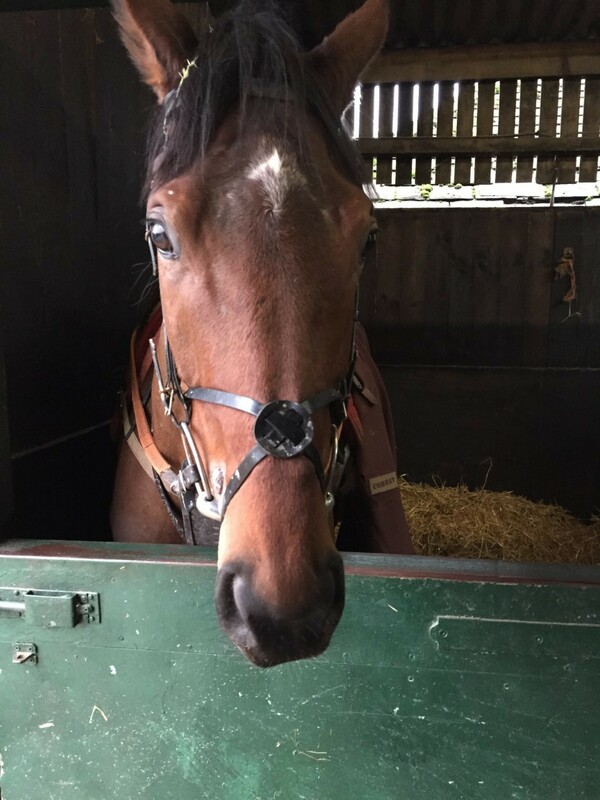 Another who worked well this morning was Global stage who finished a promising fourth in the Tolworth Hurdle at Sandown last weekend behind Finians Oscar over a trip that would have been too short for him. He looks a chaser in the making judging by his size and looks sure to turn into a smart staying chaser in the long-term. Like Colin’s Sister, he will also receive an entry in the Albert Bartlett at the Festival. Infinite Sun is a huge horse and anything he does in bumpers and over hurdles will be a bonus. He started his career off with a win at Market Rasen in a bumper, the form of which has worked out well since. Infinite Sun has the potential to be very smart over fences and is certainly one for the Tracker. The Fergal O’Brien Racing Club is an ownership syndicate run by Fergal and is the perfect way to experience the thrill of owning a racehorse. The club currently has two racehorses in, a point to pointer and even a greyhound! 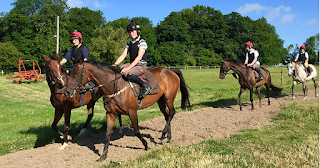 The two racehorses (Poetic Rhythm and Miss Maiden Over) have both provided current members with great experiences and the excitement of owning a winner having both won two races this season. With more than 40 horses currently in training and a yard full of promising young horses who have the potential to be above average, the future looks brighter than ever for the Fergal O’Brien Team. Excellent. Thank you. Fergal has the hottest set of bumper winners with the likes of Infinite Sun, Cap Soliel and Imperial Eloquence and in Global Stage and Poetic Rhythm some serious novice hurdlers. Very kind, thanks Simon. He sure does! Lots to look forward to. Well done Harry it's a good article soo keep up the good work.